Lucknow: Thirteen people died so far and more than hundred persons were affected by Swine Flu in Uttar Pradesh in the last five days, mostly from Lucknow. According to a health official, of the total swine flu affected patients in UP, 129 are in the state capital and the second highest of 39 in Gautam Buddha Nagar district. Of the total deaths, three was in Meerut, two in Lucknow and one each in Ghazaibad, Kanpur, Gorakhpur, Bahriach, Hapur, Lalitpur, Hardoi and Barabanki. 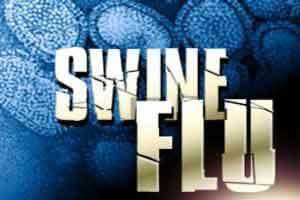 The officials said yesterday 55 fresh cases of swine flu were detected in the state of which 23 alone were in Lucknow. Meanwhile, a report from Lucknow health department says the apex medical institutions of the city, including Sanjay Gandhi Post Graduate Institute of Medical Sciences (SGPGI) and King George’s Medical University (KGMU), reported three swine flu cases each. SGPGI has till now recorded the highest number of swine flu cases and the city witnessed a surge in cases since the end of July. The city has already seen two deaths due to swine flu with one in May and the other reported on August 4.Mapping the areas recorded on the day, KGMU and areas in its vicinity cumulatively reported six cases of the highly infectious disease. “Total 23 cases were reported but we have been able to confirm 21 cases by personal contact since the address and phone number of two other persons could not be verified. Yesterday’s cases show that the activity of the virus is still more focussed around SGPGI, Kanpur road and KGMU,” said chief medical officer (CMO), Lucknow district, Dr G S Bajpai said.